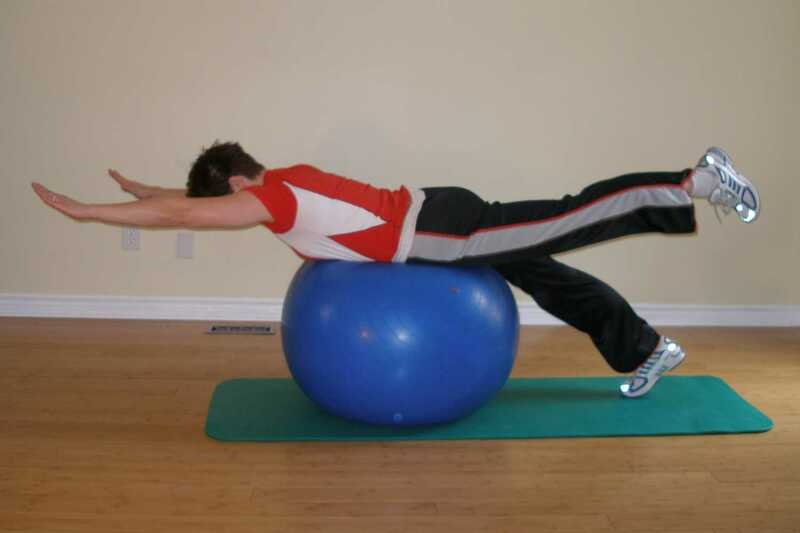 To start the single legged superman exercise on the ball kneel on the floor and stretch forward over the exercise ball until you are lying prone over the ball with chest slightly raised, waist centred over the top of the exercise ball. Tighten your abdominals as you learned through the abdominal hollowing exercise. Raise both arms in front of you to shoulder height. At the same time, raise one leg. Lower your foot to the floor and raise the other foot. Keep your chin tucked and look at the floor at all times. To maintain neck stability throughout this exercise and avoid neck strain, press your tongue on the roof of your mouth, and hold an imaginary grapefruit between your chin and your chest to engage deep neck flexors. Try to avoid side to side movements as well as twisting. The goal is to maintain your neutral position. 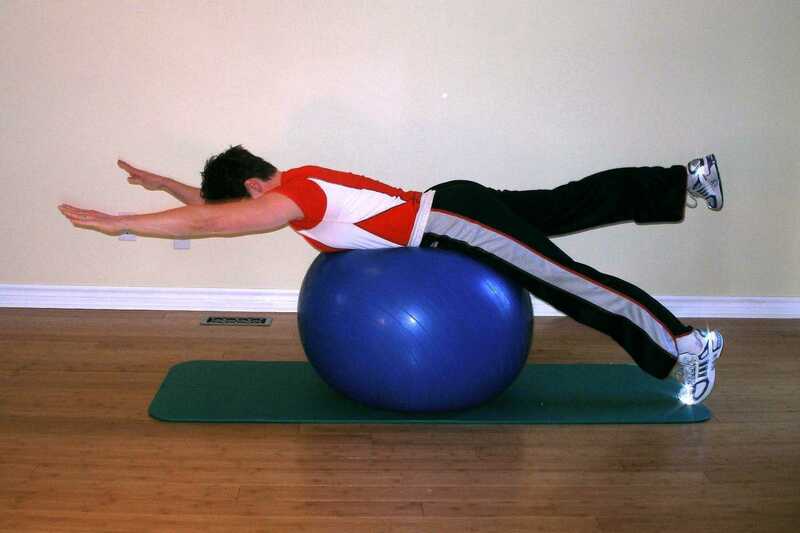 If you are having trouble with balance, go back and work on superman on the floor and then Superman on the exercise ball. Remember, you should have no pain performing this ball exercise. If you experience neck, shoulder, or back pain, consult your physical therapist. Add 1-2 kg ankle and/or wrist weights. Try Swim Kick with 2 hand support. Try Swim Kick with 1 hand support.